The events will be held different from before. Differences include that you’re going directly from Regional win to Japan (no Continentals in between), but only the winner. 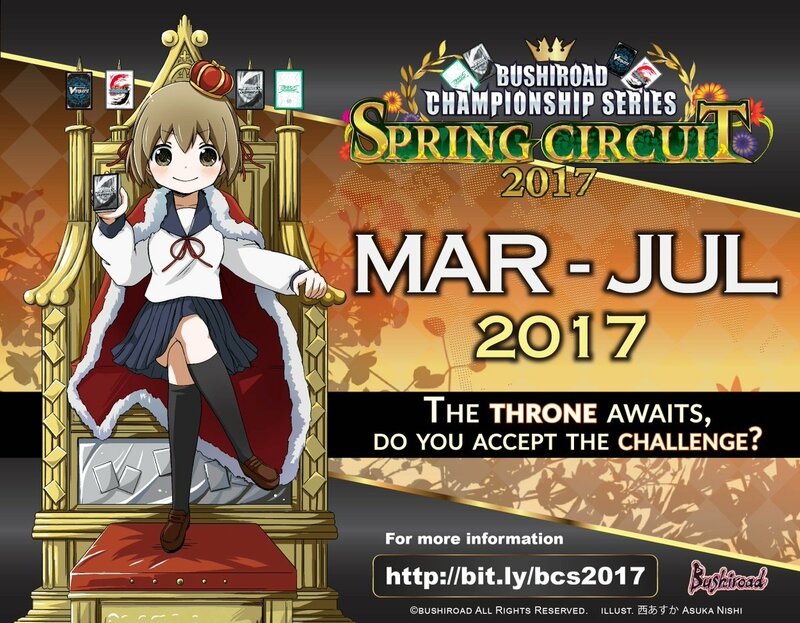 Also the events will be a held on two days, with Cardfight Vanguard being Best of 1 for day 1, and Best of 3 for day 2 (no side deck). (Note that day 2 can be held at a different weekend, so consider that.) You do not need Shop Qualifier to participate in a Regional Qualifier, however in a Shop Qualifer can you get a bye for the Regional Qualifier, meaning you don’t have to play all rounds. These are quite a few differences, but there are more, so make sure to read through it all here!